To initiate, sponsor, and participate in programs and services that assist and enhance the lives of veterans and their families, ensuring restoration and/or transition to normally functioning lives physically, mentally, socially, and vocationally. In April 1946, The American Legion Family joined forces with several other veterans’ service organizations, including the U.S. Department of Veterans Affairs (VA), to form what is known as Veterans Affairs Voluntary Service (VAVS). Today, American Legion Auxiliary (ALA) volunteers serve alongside members of the community as VAVS volunteers and as volunteers through the Auxiliary’s own Service to Veterans program. The National Veterans Affairs and Rehabilitation Committee shall contact the Department Veterans Affairs and Rehabilitation Chairmen in carrying out a uniform program in the various Departments. The National Chairman is assisted by three members of the committee and five Divisional Chairmen who are appointed each year by the National President. The National Organization requires an annual report form to be sent out from the National Veterans Affairs and Rehabilitation Committee to the Departments covering Unit, Department, and National programs. Information is to be furnished to the Department by units and returned to the National Chairman. The National News and bulletins are the media in which educational information of the National Veterans Affairs and Rehabilitation Committee will be found. Every Veterans Affairs and Rehabilitation Chairman should become thoroughly familiar with the program of the National Veterans Affairs and Rehabilitation Committee. One of the standing committees of every Department is a Veterans Affairs and Rehabilitation Committee. A committee of three or more members is desirable. It is the duty of the Department Veterans Affairs and Rehabilitation Chairman to promote the Department’s plan of rehabilitation work and see that it is successfully carried out. Informational bulletins from the Department should be sent to the Units at regular intervals. The Department Veterans Affairs and Rehabilitation Chairman should receive reports from the Unit Chairmen showing the amount work done. The Department Chairman should, in turn, send a composite report to the National Veterans Affairs and Rehabilitation Chairman. Department Veterans Affairs and Rehabilitation Chairmen should be responsible for seeing that Units participate in the Department and National work, and conform to rules adopted by the Department and National organizations. The general plan of Veterans Administration Medical Center (VAMC) programs and aid for the hospitalized veterans within the state is set up by the National Organization. This becomes the responsibility of the Department Veterans Affairs and Rehabilitation Chairman, and she should work very closely with The American Legion Committee. Local hospital programs should conform to national rules. In localities where there are a number of Units supplying hospitals needs an where there are other organizations interested in doing these same things, there may be a duplication of effort, and if these conditions prevail, coordination is necessary for best results. Each Unit should have a Veterans Affairs and Rehabilitation Committee consisting of a chairman and as many other members as may be needed to carry out the local work. The work of this Veterans Affairs and Rehabilitation Committee is confined to service for veterans in the hospitals, attention to veterans returning from the hospitals, in securing necessary hospitalization for disabled veterans, and such other aid as may be needed. Each Unit Veterans Affairs and rehabilitation Chairman should be familiar with the Department and National programs, making sure that her Unit contributes its part to the carrying out of these programs. Close contact should be maintained with the Department Veterans Affairs and Rehabilitation Chairman in order that the Unit may function effectively in the Department and National rehabilitation work and may receive assistance when needed from either of these groups. Each Unit should contribute to its Department Veterans Affairs and Rehabilitation Fund in the manner prescribed by the Department, and to the National Veterans Affairs and Rehabilitation Fund through the Department. All money should be sent to Department Headquarters; never directly from the Unit to the National Organization. The Veterans Affairs and Rehabilitation Fund in the Unit, Department, and National organizations must be used for this work only, and should be kept in a separate fund. Since the public has usually contributed generously to this fund because of the nature of its use, we are obligated to keep faith with the public in the expenditure of this money. The special National Veterans Affairs and Rehabilitation Fund is made up from annual contributions of fifteen cents per Senior member. A part of this fund is donated to The American Legion to assist in the work of The American Legion’s National Veterans Affairs and Rehabilitation Commission in Washington, D.C. and the balance is used as Veterans Affairs and Rehabilitation and Children and Youth budgets of the American Legion Auxiliary. Units should contact the well-established and recognized social agencies whenever possible in dealing with issues related to assistance to veterans. Units should recognize the efficient structure established by the National American Legion Veterans Affairs and Rehabilitation Commission, and the capability of its Service Officers in various States. Questions regarding the rights of the veterans, compensation, insurance, and other questions of a technical nature should be referred to the American Legion for advice and guidance. Units wishing information about special projects such as orientation for Hospital Volunteers, workshops, Gifts Shops, sale of veteran-made goods, or any other special activity conducted through the rehabilitation program, can secure definite information by contacting the Department Veterans Affairs and Rehabilitation Chairman through Department Headquarters. The “Guide for Volunteers” contains rules, regulations, and duties for all volunteer groups in rehabilitation, and may be obtained through your Department Headquarters. Every volunteer should have a copy available to her. Unit Veterans Affairs and Rehabilitation Chairmen should be aware of the need for a Medical Center Volunteers’ Orientation if there is a VA Medical Center in the community or adjacent area. Under the Department Veterans Affairs and Rehabilitation Chairman and /or the Director of Hospital Volunteers, awards and recognition’s are outlined in the “Guide for Volunteers.” After satisfactory completion of the prescribed training courses, the Hospital Volunteers of the American Legion Auxiliary will be qualified to service and aid the Medical Center Staff in caring for the hospitalized veteran. 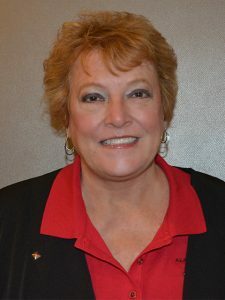 The national Organization has a VAVS representative and two deputies as liaison from the organization to the VA and serving on the National VAVS level. Information from this representative is sent to all Departments periodically. Volunteers provide service to veterans, service members and their families outside a VAMC. Volunteers conduct projects and work with military/veterans and/or families from their homes and in their communities. Service to Veterans volunteers maintain their own record-keeping and dollars spent. A new pin has been designed to reflect the work of those who volunteer in their communities and at home for veterans. Hour bars are still available to earn.